When I was researching my Barrier-Free Grand Canyon book, I remember the front desk supervisor at El Tovar telling me that winter was the best time to visit the park, as not only are their fewer people there at that time, but you can also snag some pretty good deals if you shop around. And you know what — she’s right! With that in mind, here are a few money saving deals in one of my favorite national parks. Get 20% off stays of two nights or more at El Tovar from January 2 to February 8, 2017. Use promo code WINTER. Get 30% off a Bed and Breakfast package that includes a night at the El Tovar, and breakfast for two in the El Tovar Dining Room or in your own room. Use promo code BNB. Get a special rate on a package that includes a room for two at the El Tovar, a half-bottle of sparking wine, two souvenir champagne glasses, a heart shaped box of chocolates, and dinner for two in the El Tovar Dining Room. Valid from January 2 to February 8, 2017. Use promo code ROMANCE. Save 40% on a Winter Escape Vacation Package that includes accommodations at Kachina Lodge or Thunderbird Lodge, breakfast for two at the Bright Angel Restaurant, two seats on a Hermits Rest, Sunrise or Sunset motorcoach tour, and a 20% discount in the Xanterra gift shops on the South Rim. Valid from January 1 to February 16, 2017. Use promo code ESCAPE. Save up to 40% off peak rates at Maswick Lodge. Prices begin at $93 and vary by date and occupancy. Visit www.grandcanyonlodges.com for more information or to book your package today. Access is good at all of the properties mentioned too. They all have accessible rooms with tub/shower combinations; and Thunderbird Lodge and Maswick Lodge also have accessible rooms with roll-in showers. The Bright Angel Restaurant and the El Tovar Dining Room are both wheelchair-accessible; and accessible vehicles are available on the motorcoach tours with a 48-hour notice. So it’s a very accessible deal all around. 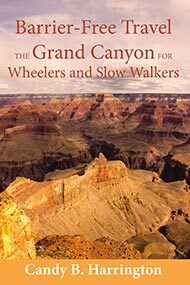 And in keeping with the discount theme here, for a limited time I’m also offering a discount on Barrier-Free Travel; The Grand Canyon for Wheelers and Slow Walkers. Just go to the book order page and use promo code 8XLHSMHG. . So go ahead and enjoy the Grand Canyon this winter. You’ll be glad you did! 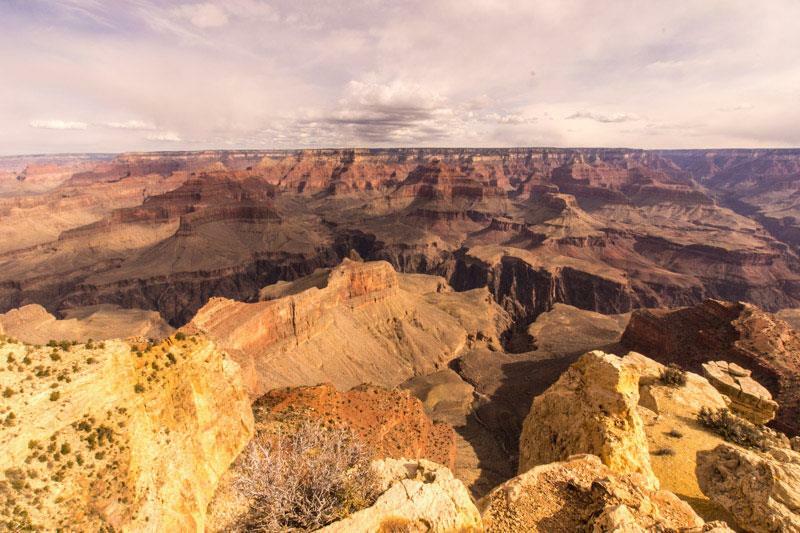 This entry was posted in Discounts & Freebies, Recreation, Road Trips, Uncategorized and tagged Barrier-Free Grand Canyon, book, discount, El Tovar, Grand Canyon, Kachina Lodge, lodge, Maswick Lodge, motorcoach tours, Thunderbird Lodge, Xanterra by Candy B. Harrington. Bookmark the permalink.